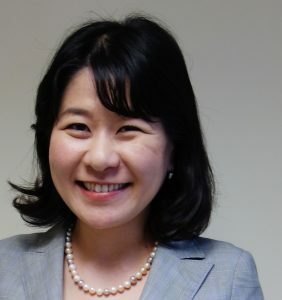 Kazuyo Kato is the Director for Programs and Administration at Sasakawa USA. In her current capacity, Kato leads Sasakawa USA’s Education Program, which offers opportunities for U.S. policymakers, experts and the broader public to improve their understanding of the U.S.-Japan relationship and its important policy issues through frequent public events, delegation trips, people-to-people exchanges/dialogues and fellowships. As Director of Finance, Kato is also responsible for budgeting, financial planning and reporting, grant management, and day-to-day oversight of Sasakawa USA’s finance and accounting, human resources, and other administrative operations. Kato joined Sasakawa USA in June 2014 as Senior Program Officer, after managing the U.S.-Japan Exchange Program at the Sasakawa Peace Foundation in Tokyo, Japan from 2010 to 2014. From 2007 to 2009, she was an Associate at Armitage International, L.L.C., an international business-consulting firm headed by former U.S. deputy secretary of state Richard L. Armitage. Prior to that, from 2003 to 2007, she worked on a number of Asia projects as Research Associate in the International Security Program at the Center for Strategic and International Studies (CSIS). She began her professional career in 2001 as an Analyst at Arthur Andersen (later KMPG) in Tokyo. Kato was born in Australia, and raised in Tokyo, Egypt, San Francisco, and Washington, D.C. She graduated from Stanford University with a bachelor’s degree in international relations and a master’s degree in international policy studies. She also has a Certificate in Non-Profit Management from Duke University’s Continuing Studies Program. Strong relations between nations depend on more than just friendly ties at the leadership level. Grassroots exchange is an essential means of forming strong foundations for a lasting relationship. In this essay the authors recommend ways to enhance exchange programs to ensure their impact, value, and success.